Dr. Alexandre Scheer is highly qualified and a God gifted family medicine doctor in New York. He has 20 years of experience in treating patients with regenerative therapies in New York City. He is the MD of NYC Stem Cell Institute and trained in neurosurgery. His expert areas include treatment for back pain, neck pain, joint arthritis, sports injuries, and systemic conditions. ALS, MS, stroke, heart attack, kidney failure, neuropathy, COPD are also the expertise of Dr. Alexandre Scheer. Dr. Alexandre Scheer attended Medical School at New York Medical College. He got training in two medical areas from there i.e. Anthropology and Chemical Engineering. He polished his skills by doing an internship at Mount Sinai Beth Israel and a residency in neurological surgery at the Albert Einstein College of Medicine. These experiences made him a professional, skilled and highly competent Doctor in New York. Now he is serving the Residents of New York City with the stem cell therapies. Dr. Alexandre Scheer has an active license from NY State Medical License which has increased his credibility further. Dr. Scheer achieved a number of awards and honors during his professional journey. In 2001, he attained the Medical Anthropology Achievement Honor award. He got summer fellowship in 2003 and fellowship from Jeanne Spurlock Clinical in 2005. He is the first author of “Initial Experience with PEEK rods in minimally invasive TLIF”. What is the Specialty of Dr. Alexandre Scheer? Dr. Alexandre Scheer is a Family Medicine primary care physician and is responsible for meeting the diverse health needs of children and families. His subspecialty is General Family Medicine, providing health care to people of all ages. 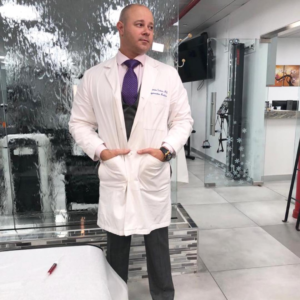 What Does Dr. Alexandre Scheer carries while doing treatments? Dr. Scheer used to strive for preserving family oriented practice while providing his diverse services to his patients. He uses the latest technologies and tools for providing the best-fit treatment. Advanced and cutting-edge technologies help him to diagnose and treat various daily basis health issues of his patients. 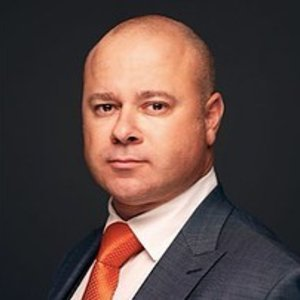 Dr. Alexandre Scheer is also famous for connecting patients to most experienced physicians in the greater New York City. He utilizes his advance knowledge while diagnosing his patients with the right disorder and is always available to answer patient questions with patience. The doctor has dedicated his full life in providing his patients a healthy, active and disorder free life. Dr. Alexandre Scheer is eager to build a strong relationship with his patient for providing them a long lasting healthy life. He offers a variety of services that best suits his patients and by getting these, patients can feel confident, comfortable and active. What do his patients say about him? Dr. Scheer has achieved positive responses from his patients in giving a thorough examination and answering detailed questions. Patients feel high satisfaction as they get the answer to every concern and best-fit treatment. How you can approach Dr. Alexandre Scheer? You can call him at (646) 480-1259, or visit him at the following address.